Deep into January, or shall we say Veganuary?! Yes it is a thing and how are you guys rocking this vegan month so far?! Like it is nothing or having a total plant powered food feast? 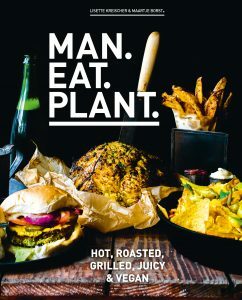 We are doing our best to fill up the MAN.EAT.PLANT. 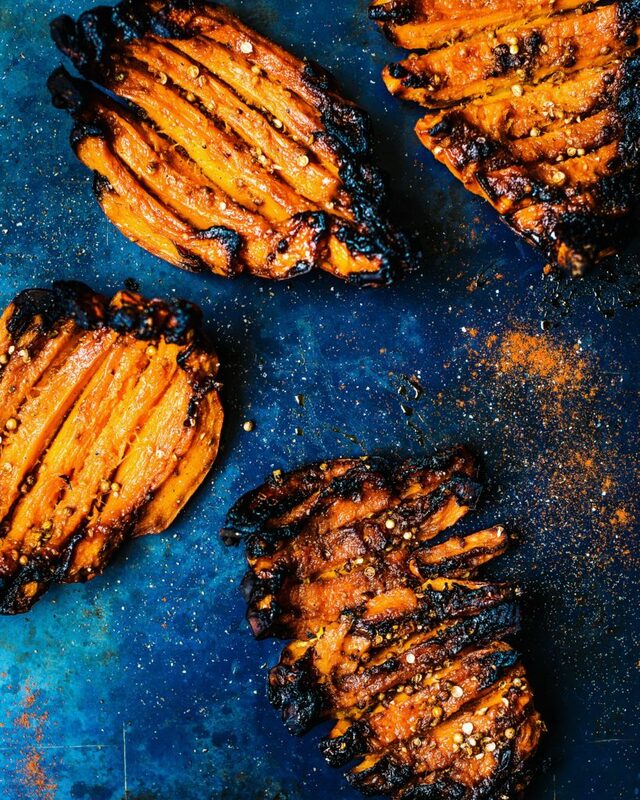 recipe index with hot, roasted, grilled and juicy vegan recipes. And for all you lumberjacks out there we have something special, a JALAPEÑO BEER BREAD. 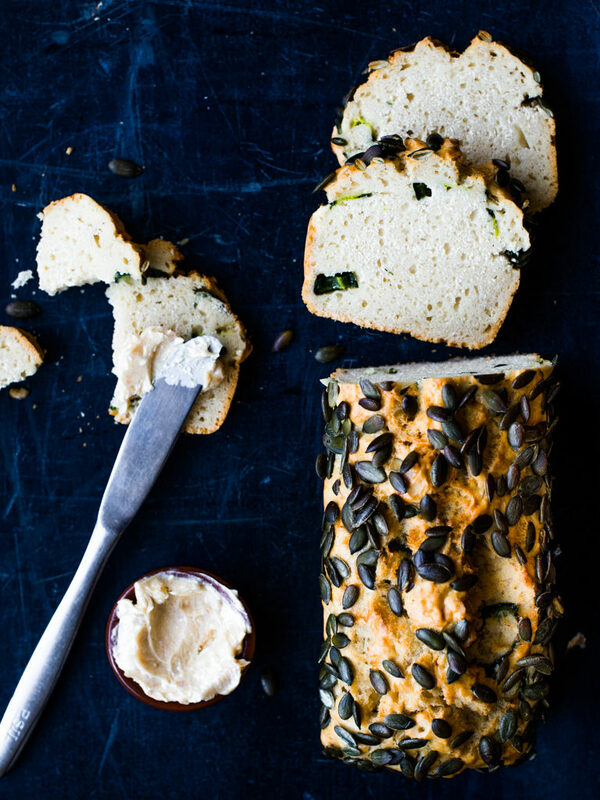 This bread is made with beer, ‘cheese’ and jalapeño peppers, so yeah what’s not to like? This is just the best snack and a perfect one to eat your way through the greyest month of all. Cool dishes and deep flavours colour this Burgundian menu. A menu with a beast of a celeriac roast as centerpiece for the main show. Traditional, yet with the taste and ingredients of the future. Served after a crispy and light appetizer and prior to a wonderfully challenging and epic dessert. 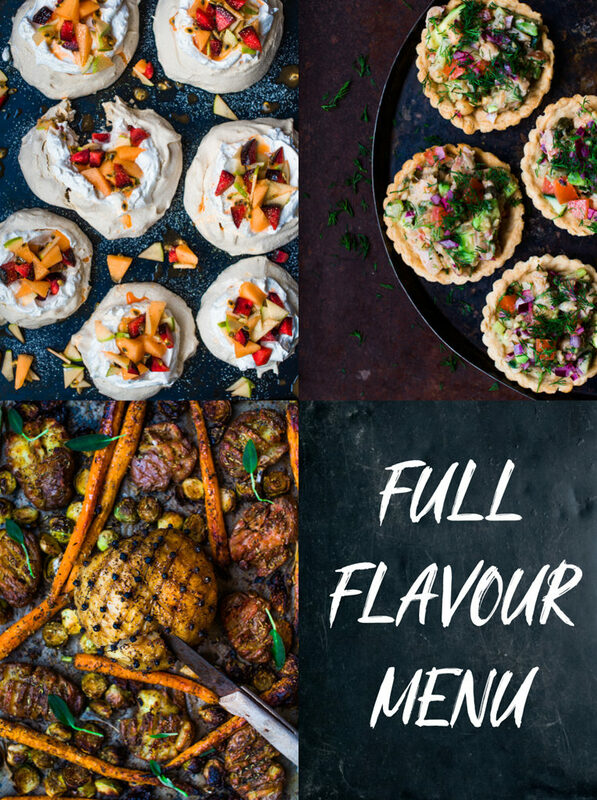 With a little bit of mentality and a good dose of courage you can create a wonderful Christmas dinner party with this menu enjoyable for all of your guests. Free of animals and rich in plants. 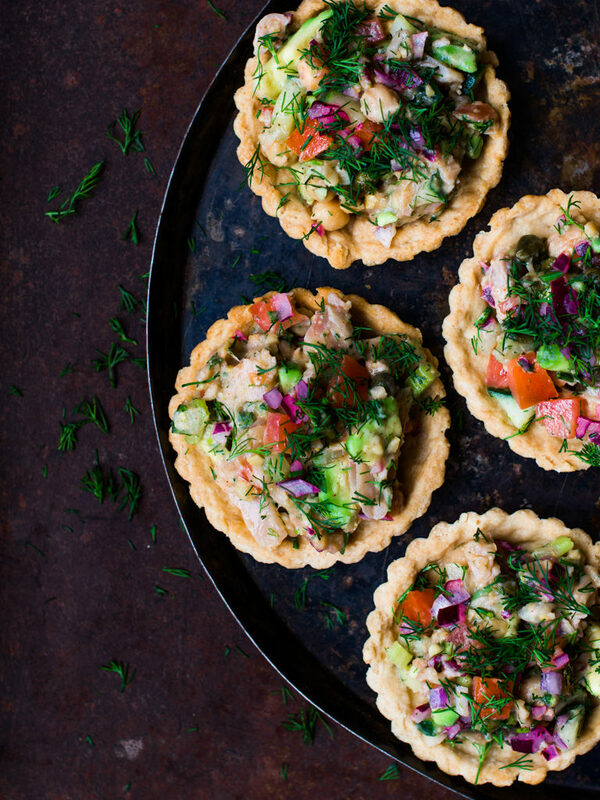 These super cool tartlets filled with a festive salad (think ‘tuna’ salad) will indulge you with a lot of flavour and interesting textures. A festive way to start the Christmas meal! Surprise! We made you a whole TG menu, starring Mr. Pumpkin as the star player. 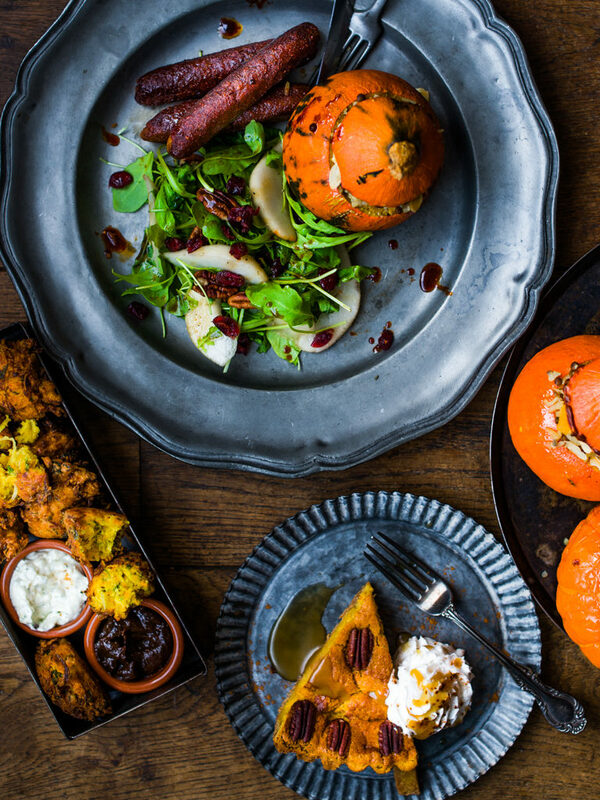 From mouth-watering pumpkin fritters, to a stuffed centrepiece and a mega-indulgent pumpkin pie. Saying THANKS is a big thing, do it good and make it count for all beings. So step up your game and let this year be the year that you once and for all transform those Holiday feasts into cruelty free parties, rich in plants and free from animals! The real spirit of Thanksgiving and Christmas on your plate. 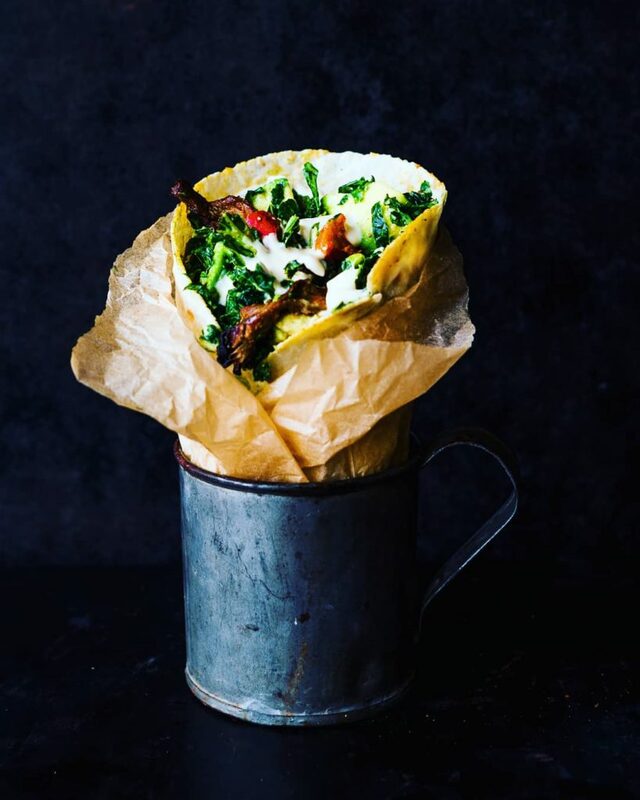 Wrap that kale up! This recipe will satisfy your savoury taste buds. There’s a nice textural thing going on, and the flavours are complex. Perfect for lunch or a quick dinner! HAPPY HALLOWEEN! Looking for a treat to scare the hell out of your friends and family? 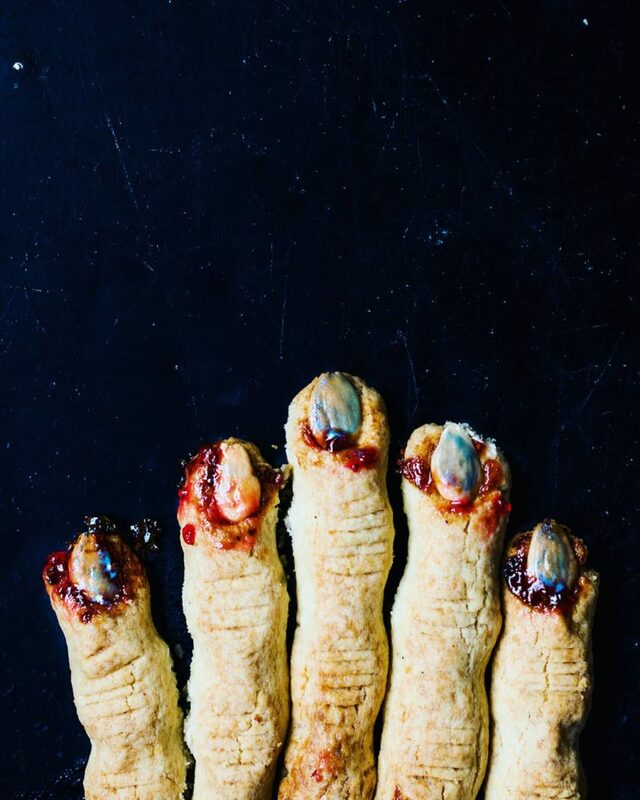 Try these creepy fingers, which are actually delicious and peaceful almond cookies. Easy to make, yet very dramatic and dare we say it…pretty gruesome! Mac & cheese, an all time favorite. No animal cheese of course, that’s soooo last season. Plant cheese is da sjit. We made this version with a rich and cheesy walnut and cauliflower sauce. The guerilla shiitake ‘bacon’ hidden between two layers of creamy pasta goodness will release a flavor attack as soon as they hit your mouth. Soak the walnuts overnight for the best result. You can use rejuvelac, bread drink or vinegar diluted with water as soaking liquid for extra pungent flavor. Enjoy! No animal slaughter is needed for a roasty rack or for anything for that matter. You can make racks by butchering a pumpkin instead. Do it nicely though ;-). 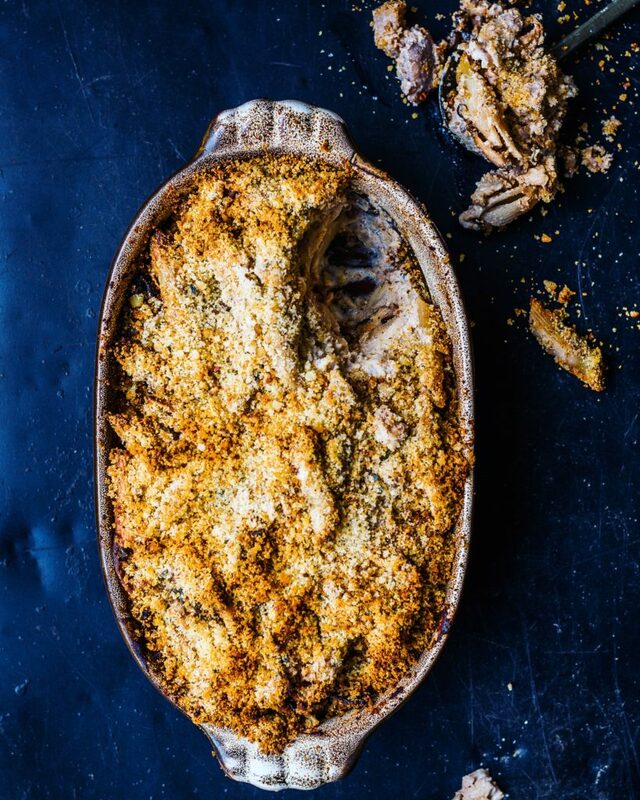 Serve with a green (arugula) salad and a grain/bean stew or just some good old mashed potatoes. This recipe is featured in the MAN.EAT.PLANT. book, but it’s too epic not to share with you international folks! 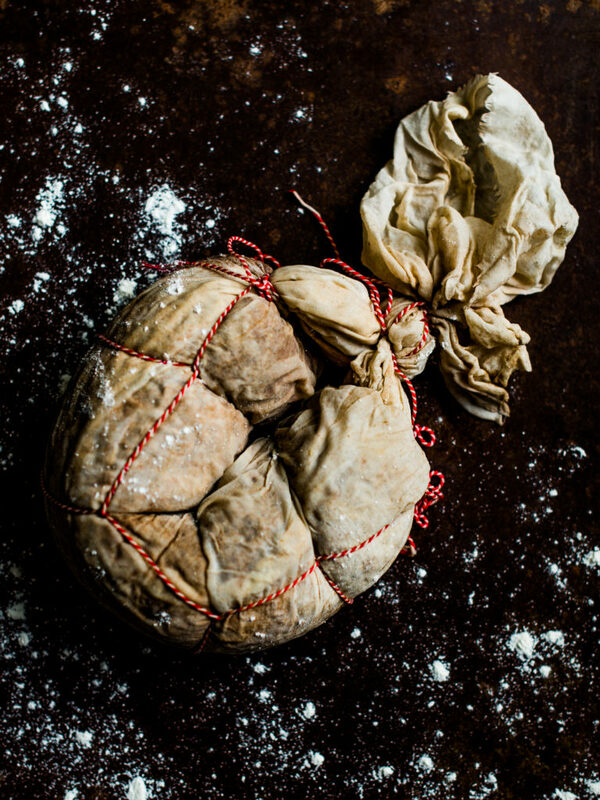 Almost every European country (or even region) has their own version of a Boudin Noir or black pudding. With this future proof and bleed free variety the disgusting classic horror sausage will be swept off the map. 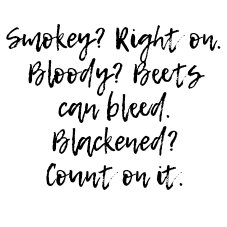 It consists of ‘bloody’ black rice (no kidding, the cooking liquid will turn into a bloody red juice with mineral flavour), oats and lots of spices, just like a traditional black pudding. Delectable with all kinds of mashes, like Dutch ‘stamppot’ (recipe included), or as burger on a bun. You HAVE to give this one a try. Snackin’ along with your loyal canine friend: today a recipe for the dog (and all beasts, man as animal) to celebrate World Animal Day. 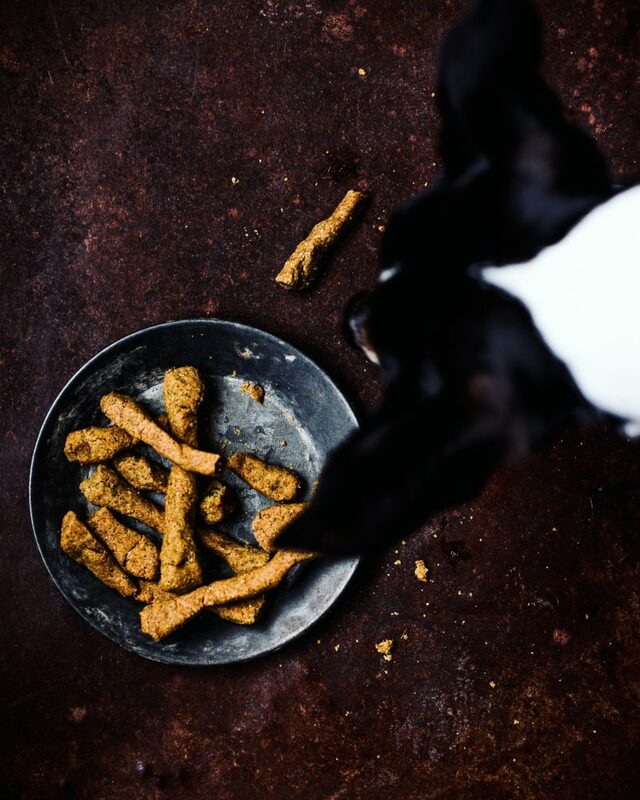 Doggy will devour these cookies in a matter of seconds. Serve with a bowl of water, or glass of beer, because yep you guessed it right, you can feast on them yourself too!